#Carnivast is a new work of electronic literature by Mez Breeze and Andy Campbell which explores code poetry as a series of interactive 3D sculptures/landscapes. 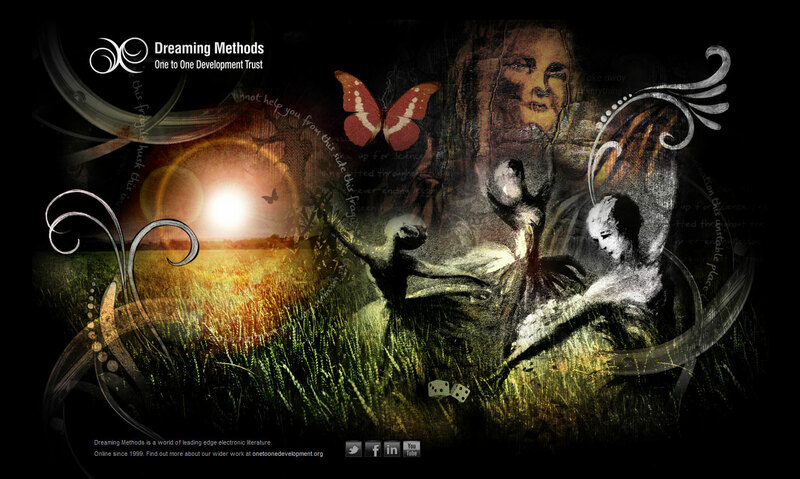 Dreaming Methods presents a new work – Zone – by Andy Campbell and Jhave. With both protagonists of the story dead, only 90 seconds of (un)consciousness remain. 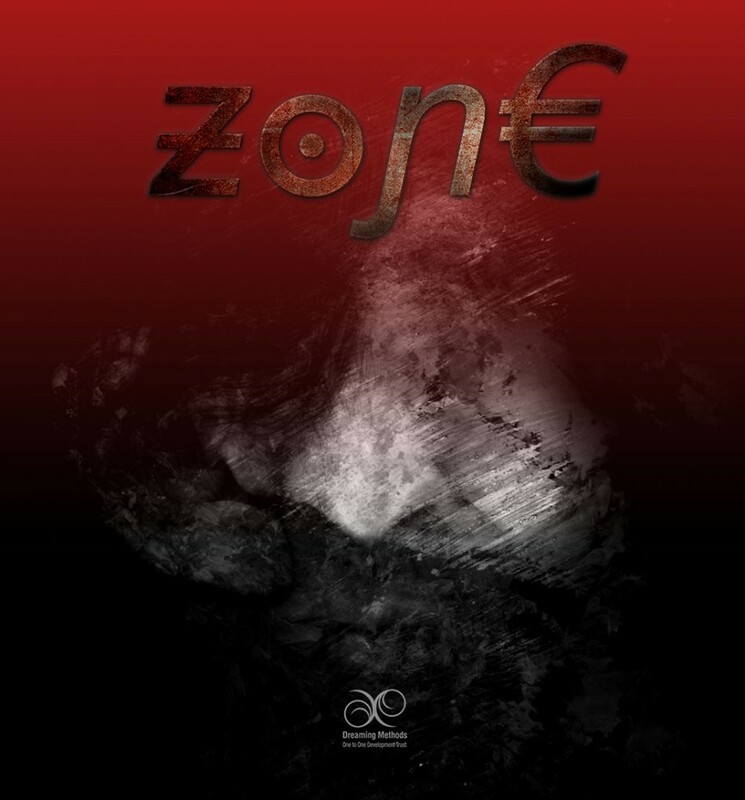 Dark, immersive and fleetingly short-lived, Zone is situated within the most vivid 3D world we’ve realised so far, lingering hauntingly between literature and game, and pushing visual language to the limits. 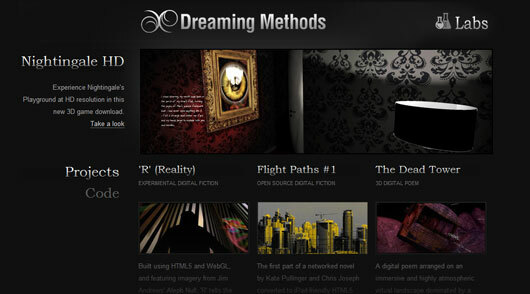 Dreaming Methods has launched a new website design and increased the size of the majority of its digital fiction projects to better fit modern screen resolutions. 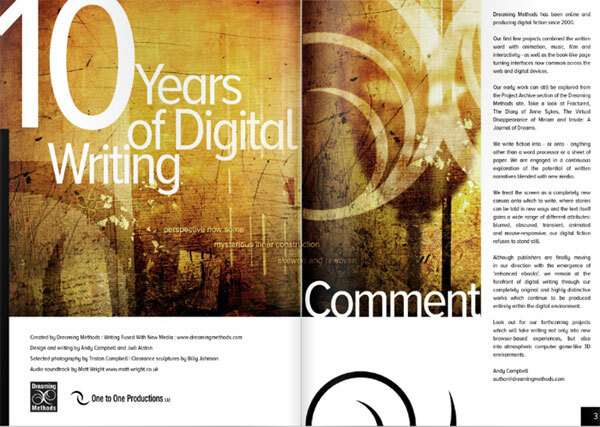 The redesign includes links to on-going projects such as Inanimate Alice and the New Media Writing Prize (which will shortly be revealing its 2012 submission guidelines and a new site) as well as over 30 individual projects spanning back to 1999. New projects will be appearing shortly. 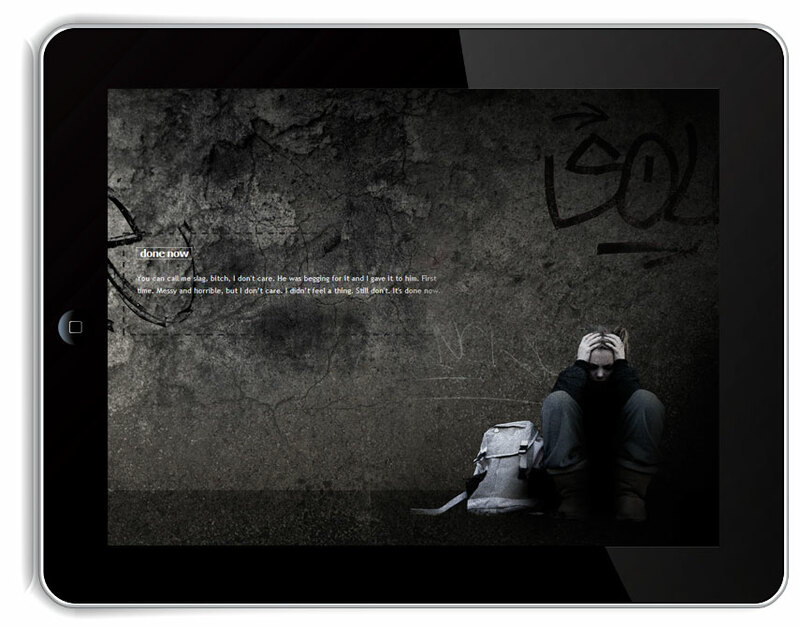 I thought it might be interesting to reflect on how we’re finding the iPad as a development platform regarding our latest digital fiction project ‘Changed‘, bearing in mind that we’re not using the Apple SDK or exporting an App from Flash CS5 to produce this piece. 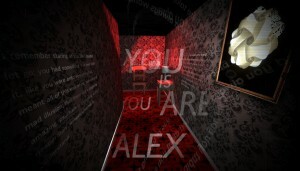 Changed is an atmospheric story set beneath a roadway tunnel. It’s based on a script by Lynda Williams (see Grace, a short film which Lynda wrote, here). 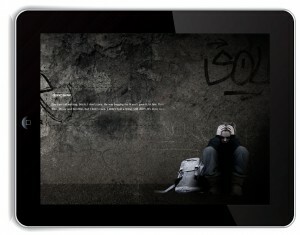 It contains a mix of text, video, audio and some elements of interactivity. It’s self-reflective and strongly visual, the tunnel itself forming the ‘canvas’ onto which all other aspects of the story unfold. The work is being designed as a ‘Web App’, which means it can be found on Mobile Safari on the iPad, bookmarked, and then added to the iPad’s Home Screen as if it were a native App. Theoretically, once downloaded, it should run offline where no internet connection is available. We’re also looking to try and keep it compatible with desktop computers/browsers. It’s raining in 1989. Teenage schoolboy Carl lives with his grandmother on an anonymous housing estate and spends his time hanging out with Alex, an oddball kid obsessed with pseudo- philosophy and computer games. When Alex disappears for no apparent reason, things begin to change: Carl finds weird objects in his gran’s sideboard; his science fieldwork book reveals mysterious numeric codes; and none of his other friends even remember Alex. Created by Dreaming Methods authors Andy Campbell and Judi Alston, Nightingale’s Playground is an ambitious work of digital fiction divided into four interlinked parts: an atmospheric browser based experience; an interactive virtual book with pages you can turn with the mouse; a short eBook download; and an immersive 3D game-like application that takes the written word into strange new dimensions. There is one story that has been niggling me for as long as I can remember. A story involving the relationship between a boy of school age, his grandmother and a frightening, possibly-supernatural force that comes between them. Dreaming Methods is riddled with fragmentary glimpses into this strange relationship; Dim O’Gauble, The Flat, The Diary of Anne Sykes, The Scrapbook. No matter how far around the houses I go to produce work that shuffles away from this personally obsessive concept, I always end up being drawn back to it and attempting to generate another multimedia perspective on this complex – yet only ever glimpsing – piece of fiction. I’m at it again at the moment, this time from a much more direct angle. 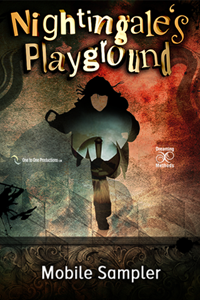 Nightingale’s Playground is a work that brings a lot of vintage Dreaming Methods themes and ideas together in a more coherent and accessible way than previously attempted. It’s a large-scale piece that spans several recent time periods – as well as a number of different delivery methods and formats. Digital Fiction on the iPhone via Flash export? One of the things that attracted me to upgrade from Flash CS4 to CS5 (as well as the improved drag and drop code snippets and generally better stability) was the promise of iPhone and iPad export. Apps for these devices are making waves in the world of digital literature at the moment with publishers knocking out mobile device editions of their authors’ books like nobody’s business. Despite the raging battle between Apple and Adobe over Flash, I thought this was a cool move on behalf of Adobe (after all, it compiles Flash into App code, bypassing the problem), and a few weeks ago decided to see whether this export option really worked. 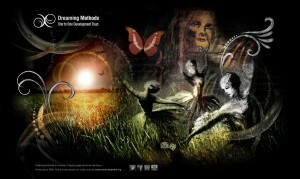 A Dreaming Methods project on the iPhone? That would be a nice thing to see. 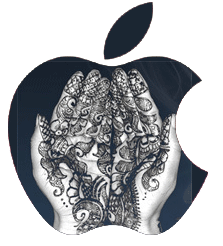 Let me mention that I don’t have an iPhone myself – or indeed an iPad. My wife has an iPod Touch, which is supposedly like an iPhone but without the phone capabilities, so I borrowed that and plugged it into my PC ready to see this miracle in action. I couldn’t quite believe that it was going to be as simple as pressing “Publish for iPhone”. And it wasn’t.